I did it. I can hardly believe it, but I did it. I wrote my first novel. I did it in the crazed 30 day haze known as National Novel Writing Month. Now that I’ve done it I don’t know that I’ll do it again. Not because it was hard (which it is) or because it doesn’t fit my writing or lifestyle (it really doesn’t), but because I got out of it what I needed to, the knowledge that I could write a novel. Note I did not say a good novel. What I wrote it pretty awful at this point. It needs major rewrites and editing, and that’s OK. Because I realized during NaNoWriMo this time (this was my third attempt) that the first draft doesn’t have to be perfect, it just needs written down. The good part comes later (hopefully). I, like a lot of us, have a lot of stories that I want to tell. But I have gotten so afraid that they aren’t going to come out the way that I want them to, or that people won’t like them, that I’ve been afraid to tell them. Thanks to those crazy 30 days in November of 2013 I’ve gotten over a lot of that. Maybe not completely. I’ll still be nervous sharing what I write, but aren’t we all? It’s like exposing part of our souls, and that’s tough no matter how you look at it, but before I can do that I have to actually get the stories out of my head and on to the page. This is something I now know I can do. So look for more blog posts as I make my way back from my writing crazy writing adventure. I learned some interesting things about myself, about my writing process, a lot about how far I’ll go to procrastinate, and maybe most importantly – how far I’ll go to make sure my story gets told. 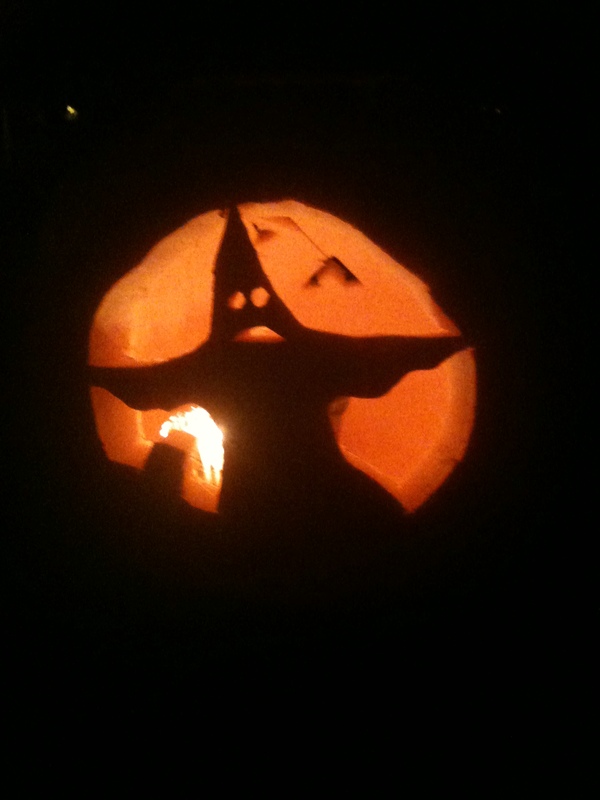 This spooky ghost haunted a pumpkin a couple of years ago. It’s time for the Halloween Edition of Tell Me a Story Tuesday! Has something gone bump in the night? Got a good ghost story? Did you experience something spooky and live to tell the tale? Well tell us the tale! This is your chance to chance to share your paranormal parable. It’s simple really,. I’m not looking for perfection. I’m not looking for something to change the world. I’m try to give us all the opportunity to flex that little creative muscle that most of us don’t get to use as often as we should. No pressure. No judgement. Just a chance to share and have a little fun. The Challenge: Tell me ghost story, or some sort of spooooky story perfect for Halloween. Let’s make them first hand accounts and not out-and-out fiction. Feel free to embellish if you’d like, but try to keep it plausible. Use the comment section below to share your to make sure everyone can see it (if it’s posted somewhere else or if it’s long you can share a link instead). So, tell me a story! Spook Me! The Return of Tell Me a Story Tuesday! After a bit of a break it’s time to bring back Tell Me a Story Tuesday! For my ones of new readers, Tell Me a Story Tuesday is when I share my love of storytelling with all of you by trying to get you tell me a story. I’ll admit that to less than stellar success in the past, but this is a new beginning! It’s simple really, I throw out an idea and invite you to write a few lines. I’m not looking for perfection. I’m not looking for something to change the world. I’m try to give us all the opportunity to flex that little creative muscle that most of us don’t get to use as often as we should. No pressure. No judgement. Just a chance to share and have a little fun. The Challenge: It’s the last official week of summer, so tell me a story about what you did on your summer vacation. It doesn’t necessarily have to be this summer. It can be your favorite summer vacation. Or the worst. Feel free to embellish if you’d like, but try to keep it plausible (I think we’ll all call shenanigans on you if you tell us you went to Mars in June). Use the comment section below to share your comments below to make sure everyone can see it (if it’s posted somewhere else or if it’s long you can share a link instead). So, tell me a story! And who knows…you tell me yours and I may just tell you mine! It’s almost time for National Novel Writing Month again! It’s a great idea – thirty days and nights of novel-writing in an effort to write a 50,000 word novel by midnight, local time, on November 30. It’s brought to life by the great folks at The Office of Letters and Lights. I took part last year, but didn’t find out about it until after it started, and adopted a modified goal of writing every day and getting as far as I could. I have to say I impressed myself with how far I got. It was total crap, but I had a lot of fun doing it. I had great plans for this year. Story ideas, characters and plans, but so far I’m behind on the getting all the pieces together before November 1st, so I don’t have high hopes of reaching the 50,000 word goal. But that’s ok. It’s the trying that counts. It’s exercising your brain and getting to invent a world. It’s doing something that can give you a natural high. Sure it can make your loved ones a little miffed when you shut yourself up in a room trying to catch-up, but it’s sure a lot of fun. The best part is that it’s free. Just sign up and you’re in. There’s even support from people online and in person. 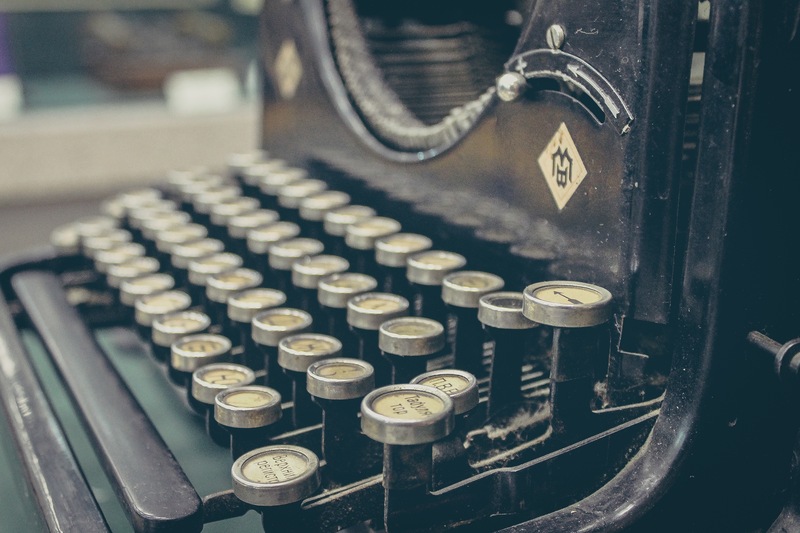 Everyone has dreamed of writing the great American novel haven’t they? Here is your chance my friend! So, loyal band of readers…who will join me in the loyal band of writers?